What Chainsaw Size Do I Need? 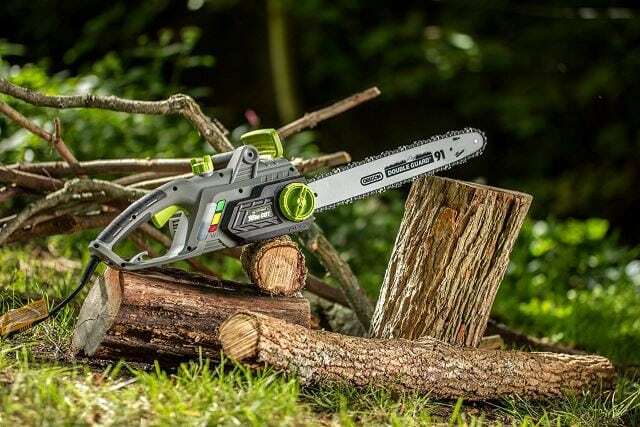 If you are unfamiliar with the use of chainsaws but are interested in investing in one for use around your property or for construction purposes, you probably have been a bit amazed at the number of makes and models presented to you in your initial research. 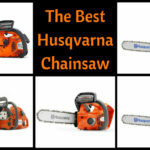 Chainsaw shopping for the first time can seem like a bit of an overwhelming task, and once you have your electric versus gas chainsaw picks all lined out, you’ll need to decide on the size of the saw you need for your job. Bigger is not always better, and the first thing you need to do is a size up, literally, the work you have in mind. Once you have a good idea of the type of use you need your saw for, you can better narrow down your choices. First off, if you are asking this question, it is generally assumed this is a new topic for you to tackle. And there is nothing wrong in admitting ignorance surrounding this topic. In fact, it is a safe, responsible question to ask as the wrong sized saw can, and have, created safety issues for operators in the past. This is especially true for occasional saw operators or those who are unfamiliar with chainsaw use. To begin, I’m going to briefly define the different types of saws, and the average sizes they are available in. 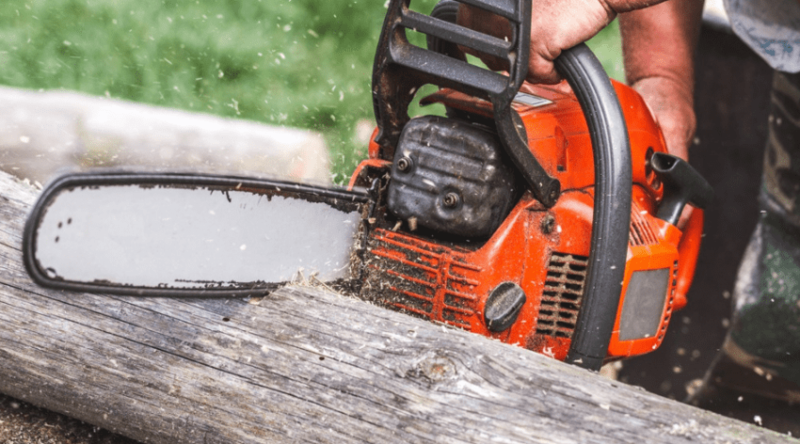 Since this is a fairly general topic, the focus is more on homeowner use, although you will be able to see just how large and powerful certain chainsaws can be. Electric saws are either corded or cordless and run by a rechargeable battery. These can actually be quite powerful in their own right, with some compared to smaller gas powered engines. Electric saws have very little maintenance associated with them, are easy to use, generally more lightweight and quiet to run, and are usually perfect for light to moderate jobs- with the occasional large job thrown in. 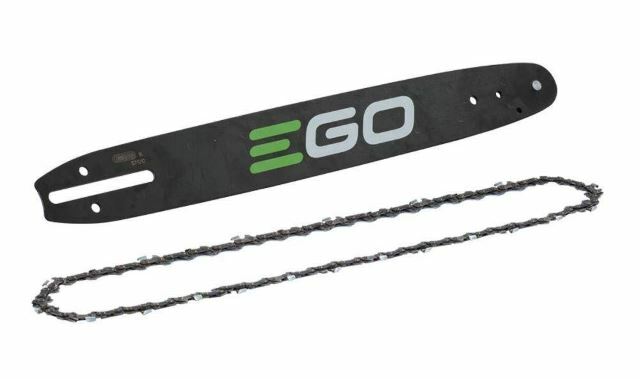 Most often you will find them offered in an 8 to 18-inch bar length (although longer exists), making them perfect for trimming and pruning, construction work, small tree cutting and bucking, and light firewood cutting. Their engine sizes will often run between 9 and 15 amp corded strengths, or 20 to 60 volt in cordless options. The larger strengths (and multiple battery compatibility) are better able to handle the longer bar lengths, but for work around your property you want to keep to the lower lengths as explained below. Gas-powered saws are powerful machines that have a wide variety of sizes from which to choose. They are run off a 2-cycle engine and require a mixture of fuel and gas in order to run properly, as well as simple maintenance. The power generated by the engine spins the socket via a clutch (also present in an electric version) to run the chain at very high rates of speed. 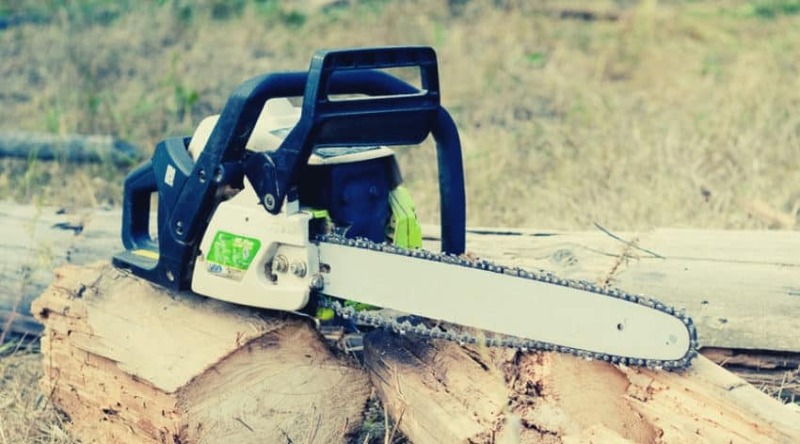 Because engine sizes can vary more so than electric powered saws, you can find some fairly massive saws that boast almost 5 feet of bar length (or more) being put to use in the professional logging industry! 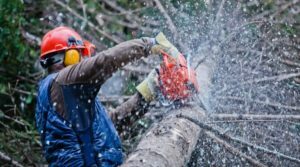 But for our reasoning, we are going to focus more on the typical homeowner sized saws for use around your property for your own logging purposes, cleanup, firewood, or even lumber milling. 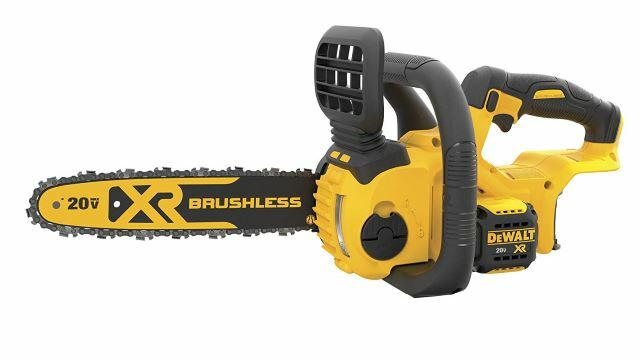 Most residentially used chainsaws fall between 16 and 24 inches of bar and chain length, and are supported by 32 to 62cc engine displacements (although 62cc is on the high end for most property management purposes). 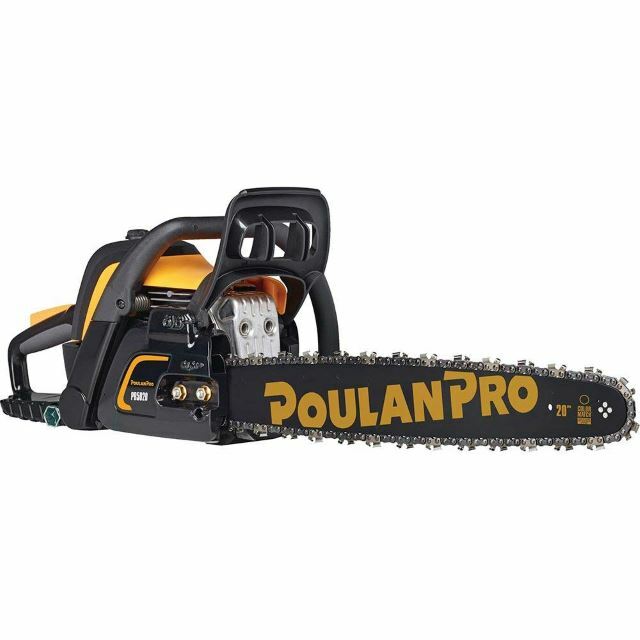 What is the largest job I have in mind for my saw? As I’ll describe below, this is an important factor to consider. Knowing your workload will help you better determine what you actually need to have versus what you want. What experience do I have with a saw? If you have little to no experience working with a saw, you don’t want to try and tackle the large jobs you may have in mind. 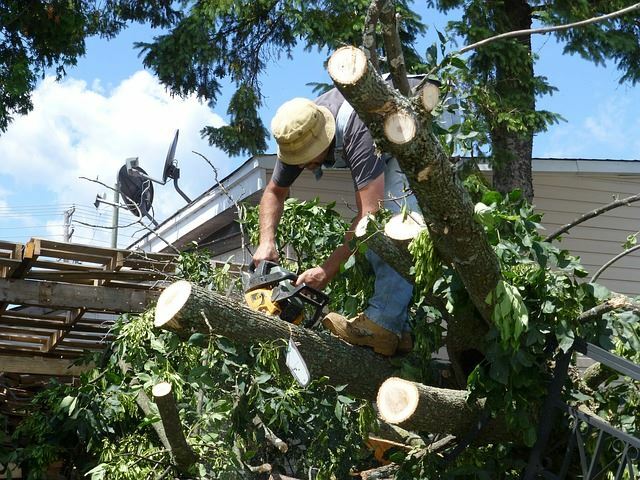 Instead, hire a professional and take a few classes on chainsaw safety and use through a local extension office. If portable cutting options is a need, then you will want to choose from either a gas or cordless choice. If not, you may want to consider a corded version for exceptional value and power for around your property. 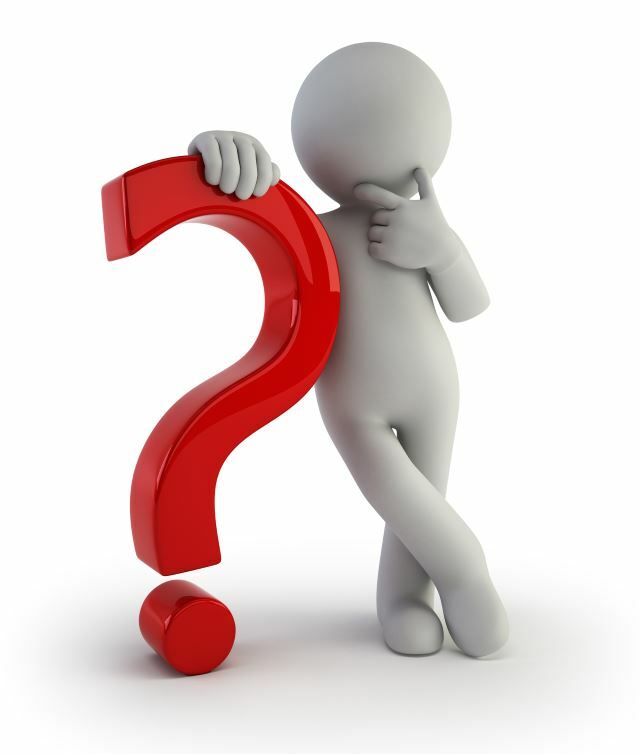 Your guide bar length is going to be the next important consideration once you are able to answer the above questions. Since the engine size is determined by the bar and chain length that, this is going to be an important factor. The longer the chain, the more power you need to provide. This also usually results in a heavier saw, as well as an increase in vibration. This can create user fatigue over long job timeframes, and as operators tire, the chances of an accident occurring go up. 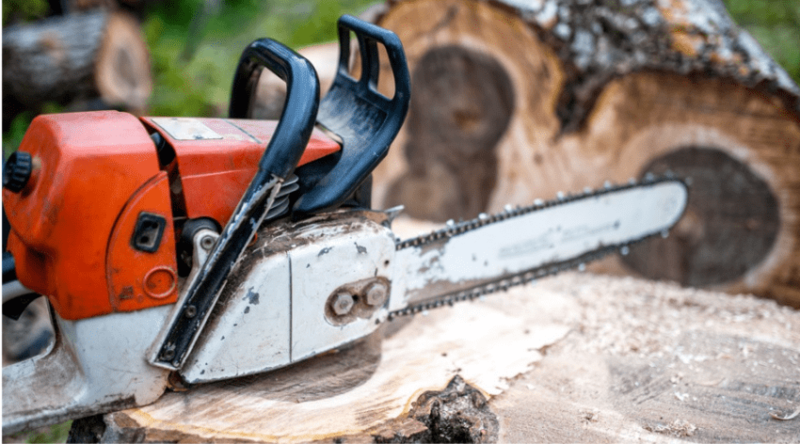 As a general rule of thumb, you want to choose a saw that has a length of approximately 23 inches longer than the diameter of the tree or limb you need to cut. For example, if you want to cut a 10-inch tree in just one pass, you will want to use a 12-inch bar. 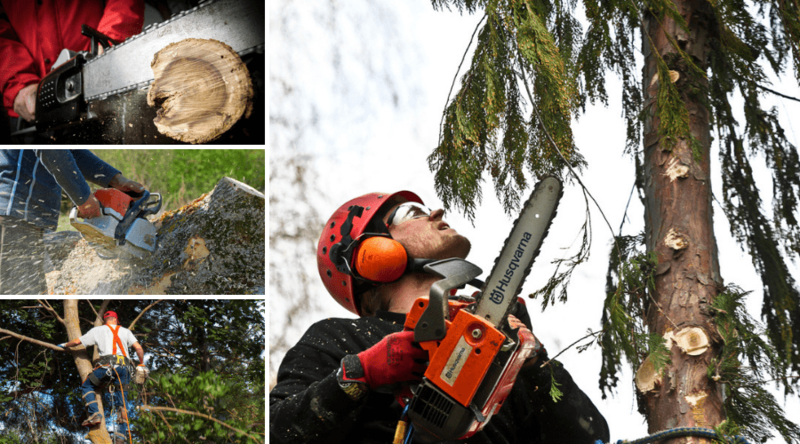 You can most definitely cut a larger tree in more than one pass, and there is no need to purchase a separate, larger saw simply because you are faced with a 16-inch tree every now and then. 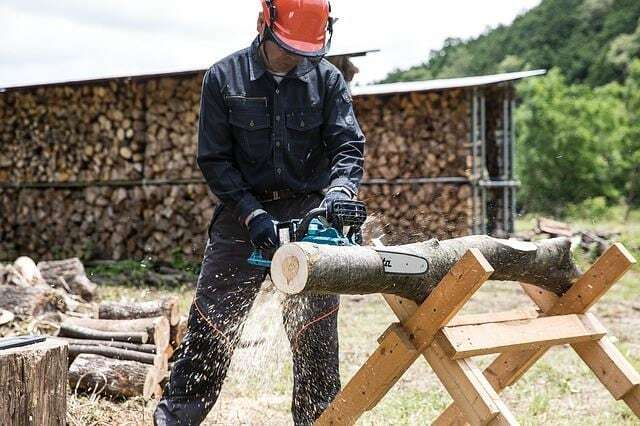 However, if cutting 16 inches (or larger) trees is a regular occurrence, then to cut your working time in half, and keep you from getting overtired, you may want to look to a larger bar size in order to make your cuts in just one pass. Hopefully, this has provided a general, informative guide to the size chainsaw you may want to be considering. Although impressive, large saws can become exhausting to use, especially when run for long periods of time. 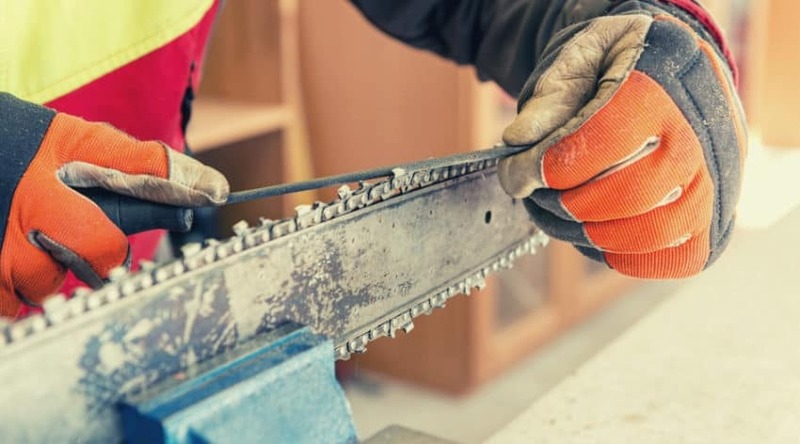 When using a saw around your property you probably are looking to make many, small to moderate cuts, and will want to focus on choosing a saw that fits your needs in terms of strength, weight, and size in order to be more effective and avoid injury. If you have any questions or comments, please let us know below. And, as always, please share!